Easypave’s resin bound stone is perfect for any size pathways as you can customise the colour of the stone to suit your surround, whether it being around your house or around the place of work. 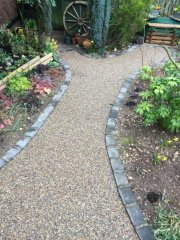 A nice option to add to a new pathway is edging it with our extensive range of edgings from granite sets too all colours of brick. We only use a UVR aliphatic resin to coat the stones, with a UV protected resin protecting the surface from any of the UV rays. We have experience in offering our pathway services to clients all over the UK, and find that no job is too big, or too small. 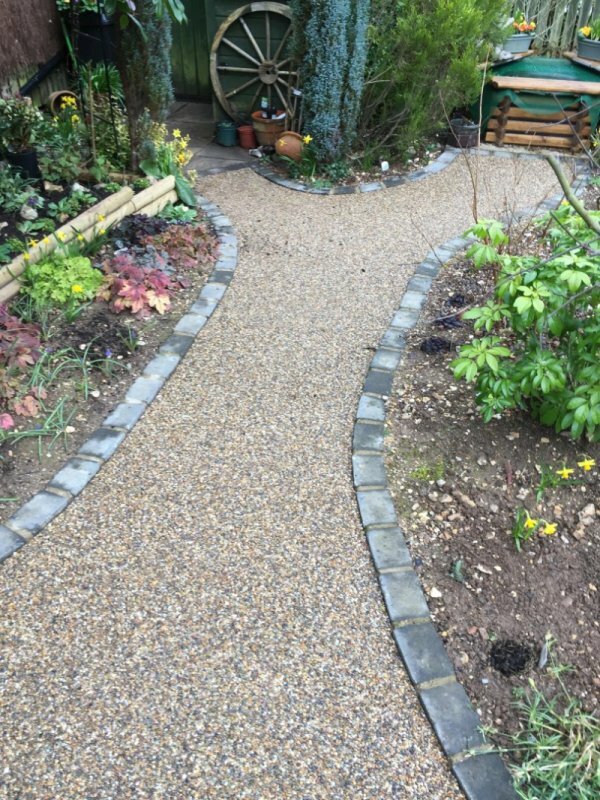 Our resin bound stone makes pathways look fantastic, and we consistently generate favourable reviews from our customers, who commend our affordable yet professional services. We’ve supplied the UK with pathway solutions for over 20 years, and are based in the South of Wiltshire, in the city of Salisbury. If you would like to get in touch with us about a project, or to discuss you plans, please feel free- we’d love to get started, and look forward to working with you.